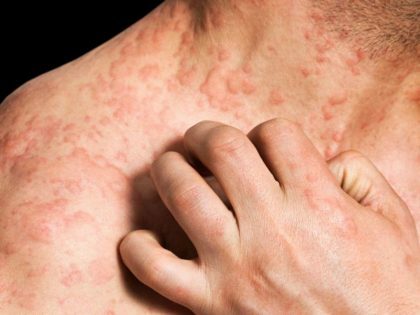 According to a recent report, Eli Lilly and Company and Incyte Corporation has announced that Baricitinib has been found efficacious and safe in atopic dermatitis in phase 3 trials. It met the primary endpoint in two Phase 3 studies evaluating its efficacy and safety for the treatment of adult patients with moderate to severe atopic dermatitis (AD). Baricitinib tablets for oral use were approved by FDA on May 31, 2018, to use in patients with rheumatoid arthritis who failed to show a response with other drugs. Atopic dermatitis is also known as infantile eczema when it occurs in infants. It is more common in infants and children than in adults and very rare after midlife. The diagnosis of AD is not always easy in adults, especially when the extension of lesions is limited and their distribution atypical. BREEZE-AD1 and BREEZE-AD2 enrolled 600 and 750 participants, respectively. The studies both randomized participants to a high-, mid-, or low-dose baricitinib arm, or to placebo. The baricitinib doses tested were 4 mg, 2 mg, and 1 mg. All participants had been diagnosed with moderate to severe atopic dermatitis for at least 12 months and had had an inadequate response to or intolerance of existing topical treatments within 6 months before screening. In both investigational trials, compared to patients treated with placebo, a statistically significant proportion of patients treated with baricitinib achieved the primary endpoint at Week 16 defined by the Investigator’s Global Assessment for AD (IGA) score of clear or almost clear. On the safety side of the studies, the company reported that treatment-emergent adverse events and serious adverse events were similar between baricitinib treatment and placebo. The most common treatment-emergent adverse events were nasopharyngitis and headache. It is worthy to note that there were no venous thromboembolic events, major adverse cardiovascular events (MACE), or deaths in either BREEZE-AD1 or BREEZE-AD2 Mallbris said. However, she noted that the results from these 2 clinical trials only represent data for 16 weeks of treatment.